On the morning of August 13th, a marked Greenfield squad car was parked outside of the Milwaukee County Safety Building. While parked there, a suspect used a rock to break the driver’s window and enter the vehicle. Once in the vehicle, the suspect grabbed the stock of the AR-15 rifle and began to attempt to pull it out of the ceiling mounted rack. 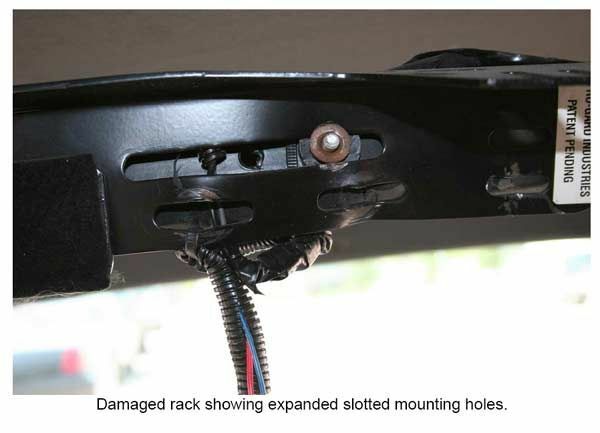 The suspect was able use the leverage of the rifle to pry the entire locking mechanism out of the mount and was able to remove the rifle from the vehicle. The lock was still attached to the rifle upon removal from the vehicle but the weapon was fully functional. An off-duty Milwaukee officer challenged the suspect at gunpoint and the suspect surrendered. 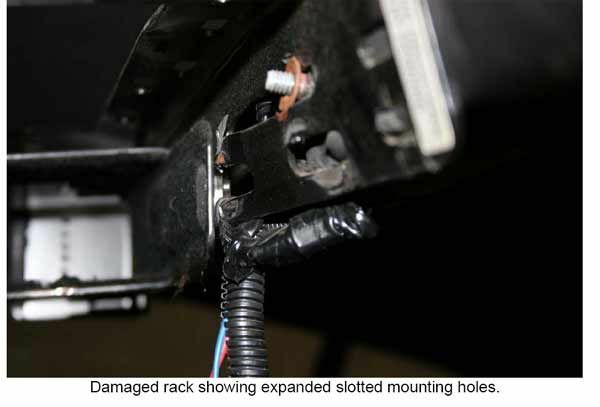 Investigation has revealed what appears to be a design flaw in the rifle rack. The rifle was mounted in a Pro-Gard “Pro-Clamp” with a Pro-Gard G4904R-NPG lock. 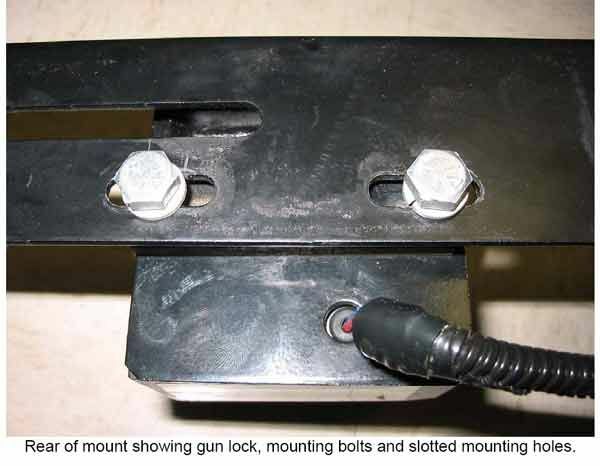 Upon inspection of the rack and lock, it is readily apparent that when leverage was applied to the stock of the rifle, the slotted mounting holes (used to secure the lock to the rack) expanded thus allowing the bolts securing the locking mechanism to be pulled through the slotted mounting holes. We have come up with a low-cost retro-fit solution to prevent this scenario from occurring. We have fabricated a steel plate which mounts between the bolts and slotted holes thereby preventing the bolts from pulling through the mounting holes. The same solution can be accomplished with oversized fender washers. We have been in contact with the manufacturer and are awaiting a reply.